People, space and technology drive the way we work. We specialize in designing for collaboration. Today’s powerful mobile devices, ubiquitous internet access, and cloud-based applications make working anywhere, anytime, possible. Companies must employ strategies to support collaboration for a more tech-savvy workforce. Every organization today is trying to boost their bottom line and rethink their technology strategy to best support their employee’s productivity, efficiency and work experience, all while managing costs. We serve as a consultative partner to help you craft the perfect collaborative workspaces and keep them running smoothly. There is a critical need for workplace transformation today – creating flexible office environments that adapt to support how we work now and in the future. When you thoughtfully combine people, space, and technology, it can foster new levels of collaboration and innovation. What really separates us from other AV/IT integrator/consultants is that we are not just technology experts, but experts in space and its impact on organizations. In a challenging, complex and competitive environment, we are all united by a common desire to anticipate the future and make thoughtful decisions. That is why our experts and our parent company Steelcase, spend time analyzing trends and thinking about what lies ahead. We know that space shapes the behavior of employees, and behavior over time becomes the culture of an organization. Space and technology are the second largest business expense after salaries and a critical strategic asset in driving an engaged workplace culture. We specialize in creating collaborative workspaces that support people in doing their best work. Don’t you want to partner with someone who is thinking about the bigger picture? Red Thread is a Top 25 Systems Integrator for 2018! We offer a wide variety of collaboration solutions to fit Microsoft, Cisco, and blended platforms. The size of the space, the type of collaboration, and specific functional requirements are important factors to consider as you explore different system types. Our broad experience brings a unique and relevant perspective to your team. We engage you in a thoughtful and holistic approach that incorporates how people, space and technology need to come together for a meaningful workplace transformation. 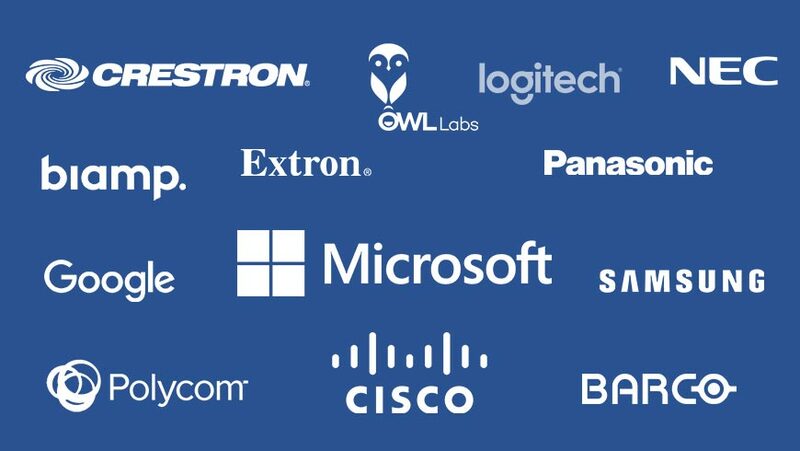 We partner with more than 95 technology manufacturers, including Microsoft, Cisco, Polycom, Logitech, and Crestron. See the full list of our AV manufacturing partners. As the way we work has changed, so have the technologies and our need for a seamless experience. 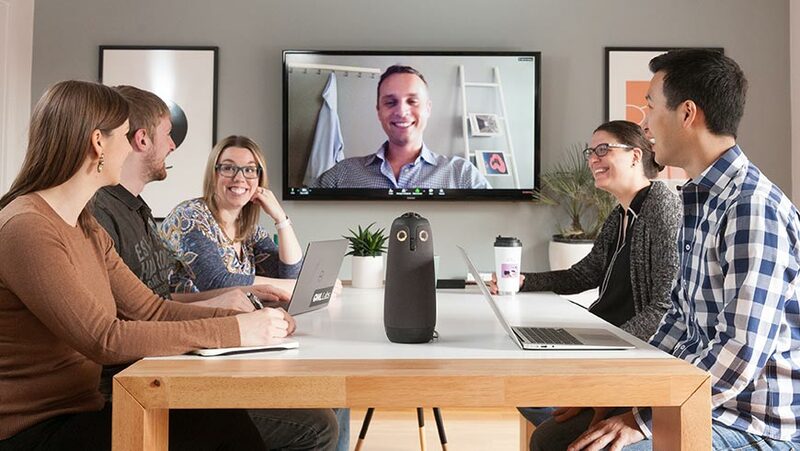 Conferencing spaces need to connect people locally and virtually, be compatible with mobile technology, and share a common user experience. Designing collaboration spaces and choosing the right technology systems can be an overwhelming process, but we make it easy. What are your technology design goals? How is technology used in your organization? Is it for scheduled meetings? Impromptu collaboration? Displaying content? Interactive collaboration? Company-wide news and announcements? How effective is the technology you currently use? What capabilities would make your people more productive? What are you currently not able to achieve that you would like to? How long does it typically take your people to start a meeting? Is the user experience consistent, whether someone is working locally in an office or remote? Do you use web or video conferencing? Do people typically meet face-to-face using displays to share content? What percentage of your workforce works remotely? How frequently are people looking to collaborate with others that are both local and remote? Do remote workers have a satisfying and productive user experience? Do you have a standard platform across the organization? 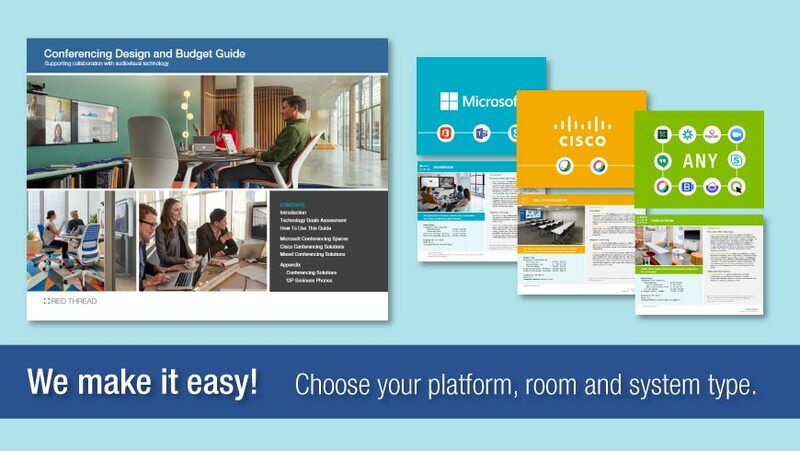 Are you standardized on Microsoft or Cisco? Do you instead use a mixed platform of solutions? Do you have challenges with the interoperability of a mix of conferencing applications and/or video conferencing systems? Is your organization more “classic,” seeking practical, cost effective solutions that get the job done? These solutions might include basic engineered systems. Is your organization more progressive, seeking immersive technologies integrated holistically within the space to drive a creative and collaborative workplace culture? These solutions might include open and enclosed spaces with bundled systems and all-in-one solutions. Does your organization require integrated high-performance systems that provide the highest fidelity video and audio for local and remote participants? These solutions might include integrated conferencing systems.